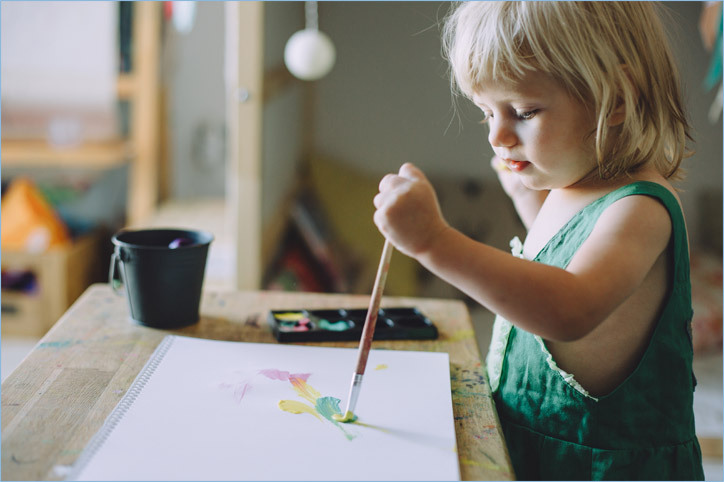 Perhaps by now, it is obvious that we mum’s play a key role in enriching our child’s early learning experiences, environment and their cognitive, physical, social and emotional development overall. So how does the attachment bond develop? Very naturally of course! From the time your baby is conceived, whether it is your first, second or third, a natural bond is formed. That is how early it starts. The attachment bond is all about the emotional part of your relationship with your child – how you communicate, verbally or nonverbally, your physical affection toward your child, your sensitivity and synchronized responses toward them. You are the trusted source and the quality of your attachment bond will vary in 2 ways. It can either evolve into a secure attachment bond or an insecure one. This is not to simplify the complexity of human relationships, but this is what it boils down to. 1. The secure child is the child who is trusting, feels safe and knows that they have their secure base to refer to, especially when distressed because that is when their need for comfort peaks. In fact, the secure child is able to actively engage in an emotional nonverbal and verbal communication with you. 2. The insecure child is unable to regulate emotions, exhibits frustrated and irritable behaviours and is less easily eased out of their distress. If they don’t have the trust and sense of security, then they are emotionally disconnected. Let’s see what the attachment bond ‘looks’ like in action with a few examples here that could nurture a secure attachment over time. The secure base: The most frequent ‘task’ we engage in daily with our babies is changing diapers. If we are to think about the secure vs. insecure attachment bond, we can do one of 2 things. If diaper changing is indeed a task for you, then whether or not your baby shows signs of distress will not change your task-oriented approach to changing diapers: Dry and mechanical. Alternatively, you can focus on the moment-to-moment encounter during a 5-minute diaper changing session where you acknowledge your child’s distress with your non-verbal facial expressions and as soon as you’re done, you pick him right up and give him/her a tight hug and a kiss; the focus is on the non-verbal emotional communication you engage in with your baby. With this, you have shown your child that you are dependable. You reassure them that they have a secure base to rely on and to turn to during times of distress. Separation: This has got to be the most difficult transition, not only for your child, but for you as a mother. More often than not, you search for all sorts of excuses to hide your own separation anxiety from your child. But there is nothing to hide here. It is in fact a difficult time for both you and your child. So keep calm! Focus on reassuring your child that this separation is temporary and that you will be back. Don’t ever try to sneak out while your child is not looking because this will create even more stress and it can complicate the process of adapting to separation. Maintain consistency – explain to your child that you will return and make sure you return when you say you will. And above all, understand that your child will take as long as they need (as opposed to comparing to other children). This can take anywhere between 1-3 months (and at times a bit more). Routines help pace your child: Always consider your child’s temperament. Based on that, transitions between activities could be very challenging. The solution? Routine! We always hear about how routines are so important for our children. Here are some of the reasons as to why. When children anticipate what is coming next, they learn to have self-control. Knowing what is coming next gives children a sense of security and emotional stability. With emotional stability come self-regulation and self-confidence as a guide to more positive and responsible social behavior. But there are always reasons to throw our children off routine – this could be because we may be tired or exhausted, preoccupied, on holiday, with friends and all things that are not part of your child’s routine. But stay focused and be consistent. The little extra effort you invest in will take your child a long way. You can use simple strategies such as reminding your child what comes next – giving them enough time to prepare for any transition e.g. eating then playing, cleaning up, taking a nap. Connecting with your child: Every parent wants to make their child be the ‘best’ or ‘first’ at everything. This means having them do everything you can have them do to have the smartest child. This incites nothing more than stress for you and your child. To maintain that secure bond, be very aware of your child’s interests and focus on the present experience(s). Give yourself time to connect with your child – this means, focus on your child (as opposed to comparing to others) by listening, talking, and playing with your child, living the moment-to-moment experiences that are meaningful and relevant to your child. Everything else can wait. Hear this, dear mums: The attachment bond and understanding of maternal sensitivity is an entire area of scientific exploration. It is complex, but it is real and it is critical. And whether it is your baby, toddler or child, your responses impact later relations between you and your child. So just read their cues and respond with love and support. We have all heard of the generational myths but don’t take those for granted. Observe your child. Just read their cues, hold them, and comfort them. As they grow older, they will be more confident and emotionally secure because they have you as their secure base.